It's your life! Keep your secrets safe while securing your high style by carrying the luxurious 'Lisa' bag by DG Dolce and Gabbana™! 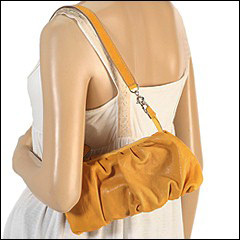 Shoulder bag made of ruched leather. 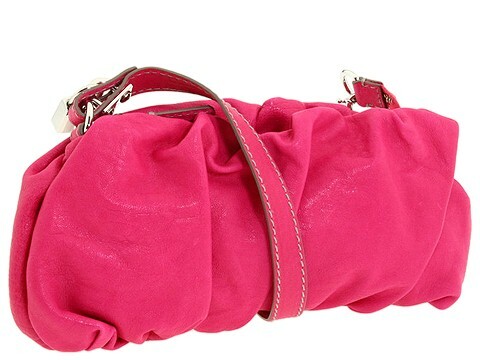 Holds your wallet, keys, sunglasses, lipstick and personal technology. Dimensions: 10 wide across bottom, 9 1/2 wide across center, 8 1/2 wide across top x 3 deep x 4 1/2 high. Single shoulder strap with a DG lock attached. Shoulder drop: 10 length. DG Dolce and Gabbana detailed hardware. Platform bottom. Top zip closure with a leather DG zipper pull and a key. Interior lining. Made in Italy.